Joining the star-studded tribute to Randy Travis on February 8, 2017, will be Wynonna, Jeff Foxworthy, Alison Krauss, Ben Haggard, Neal McCoy and Phil Vassar. Tickets for the highly anticipated event are on sale now at all Ticketmaster locations and the Bridgestone Arena Box Office. The event, titled 1 Night. 1 Place. 1 Time: A Heroes and Friends Tribute to Randy Travis, will also feature performances from Alabama, Rodney Atkins, Kane Brown, James Dupre, Montgomery Gentry, Chris Janson, Jamey Johnson, Scotty McCreery, Joe Nichols, Michael Ray, Collin Raye, Ricky Skaggs, Kenny Rogers, Michael W. Smith, The Bellamy Brothers, The Randy Travis Band, Ricky Traywick, Travis Tritt, Tanya Tucker, Josh Turner with more still to be announced. A portion of the proceeds will go to the Randy Travis Foundation; a 501(c)3 non-profit that raises money for stroke research and rehabilitation. "Randy and Mary Travis and I are extremely overwhelmed with the artists that are lending their talents for this special night. Once they found out that Randy needed help to fund the Randy Travis Foundation everyone started calling. Funds going into the foundation will help fund numerous stroke research and rehabilitation programs. This will only be one night, one time, and one place and will never happen again. Almost 30 artists have confirmed so far. They will perform with Randy’s band as well as join Randy in his first public performance since his life-altering stroke. We are prepared for there not to be a dry eye in the house," said producer of the event and Travis’ manager, Tony Conway of Conway Entertainment Group/Ontourage Management. 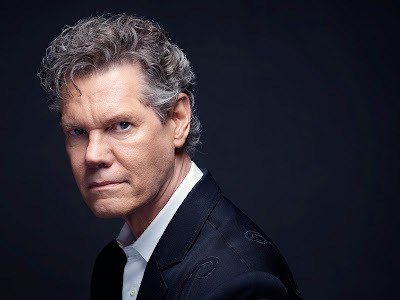 In October, Randy Travis was officially inducted into The Country Music Hall of Fame. The multi-platinum country giant suffered a massive stroke in 2013 and has since made miraculous strides towards recovery. He recently sang “Amazing Grace” at his Country Music Hall of Fame induction ceremony as well as the tagline to his iconic “Forever and Ever, Amen” at the 2016 CMA Awards in November alongside numerous country legends and stars. 1 Night. 1 Place. 1 Time: A Heroes and Friends Tribute to Randy Travis is produced by Mary Travis along with Tony Conway of Conway Entertainment Group/Ontourage Management, Mike Smardak of Outback Concerts of Tennessee, Inc. who is also the promoter of the event and Kirt Webster of Webster and Associates.